Mama, I know you’re busy. You are takin’ care of the kids all day, and then once they are in bed at night, you’re still hustling to grow your online biz. It feels like there are never enough hours in the day! 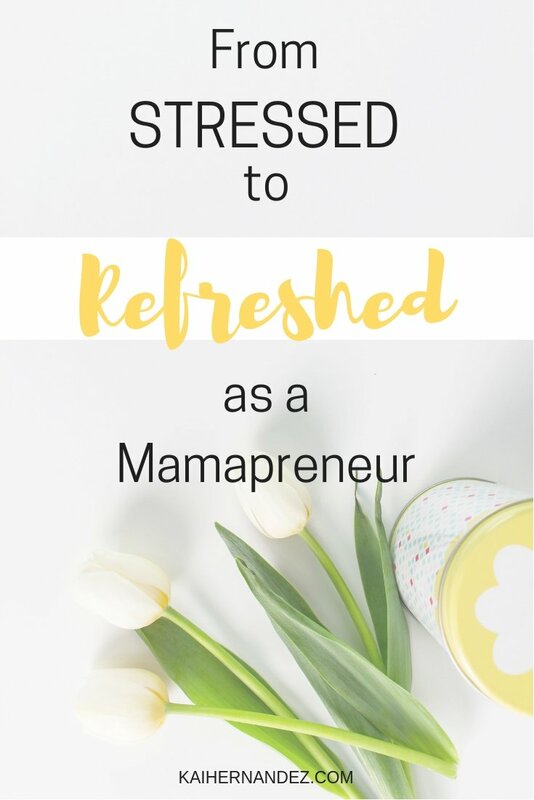 Being a mamapreneur & working on my online biz from home while my daughter naps, is by far the hardest job I have ever had. But it’s also the most rewarding, amiright? In the beginning, I spent months working late nights, & waking up before my newborn to work some more. I spent the day trying to multitask and got nothing done. I tried to do allthethings, but ended up barely getting anything done at all. And the entire time, I felt like a chicken running around without a head. Just mindlessly jumping from one ‘important thing’ to the next, with no clear direction or goal… Sound familiar? Guess what, running an online biz doesn’t have to be stressful! In fact, I bet that you can start fresh, and start crushin’ your biz goals without breaking a sweat. Are you ready? You heard me. Everything inside your head, every idea, concept, to-do list, goal, product to create, blog post topic, get it all out! Nothing will kill your focus faster than a brain filled with reminders! And I know I see you reaching for the post-its, or for your notes app. Don’t do it. Has writing something there ever stopped your brain from pestering you? Probably not. You wanna know why? If your brain doesn’t trust you to look back at your reminders, it’s like they don’t exist at all. This is why you need to create a Brain Dump. 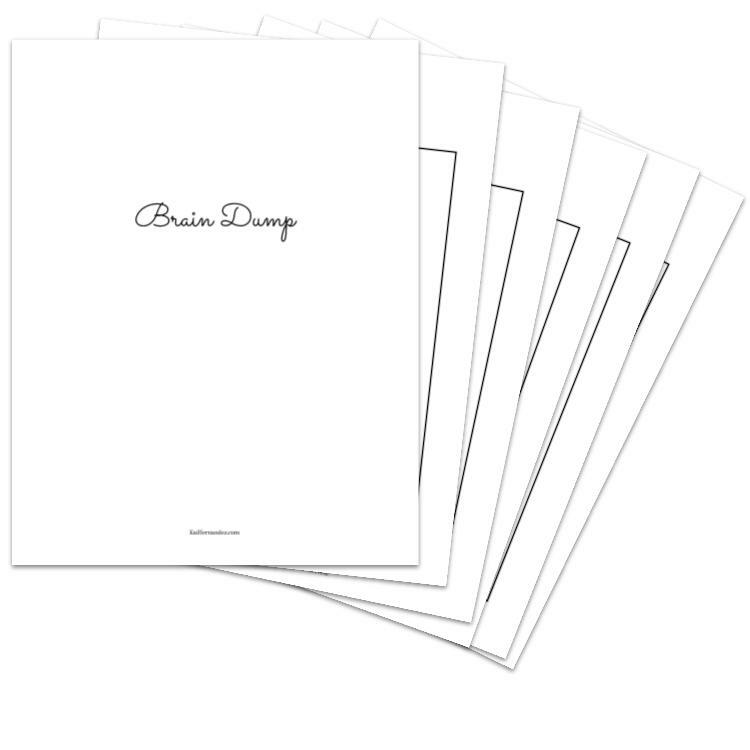 Create a space specifically for your Brain Dump & set a weekly time to review your pages! Have you ever felt focused at a desk that was covered in post-its? Didn’t think so. A cluttered desk is a huge productivity killer, and seeing piles of things you need to do every time you sit down to work? Talk about stressful. Take 5 minutes right now & declutter your desk. Give everything a place: pens, blank papers, post-its, paper clips, you name it, give it a spot of its own. Use binders for the big stuff: biz planner, brain dump, projects, etc. Have an endless to-do list? Is it full of everything you ever thought was a good idea to get around to at some point? Do you usually just go for the easiest thing to get done? Feel like at the end of the day you never made a dent in that list? Take a step back & think for a sec. No – take a step back & think dream for a sec. What does your biz need to look like for you to finally say “I’ve made it” & feel like you have achieved your dream? Anything that doesn’t directly relate to that dream, cross it the heck out. with sharpie. obliterate it. Legit, anything you waste your time on that doesn’t directly relate to that dream, is just that – wasted time. Give yourself permission to let go of the things that aren’t directly related to your dream. Otherwise, you’ll never get there. Know your goals? Post ’em on your wall. Remind yourself what you’re hustling so hard for. Need colors in your life? Make it happen! You can add post-its, folders, a desk set, whatever you need to feel like you’ve got this! 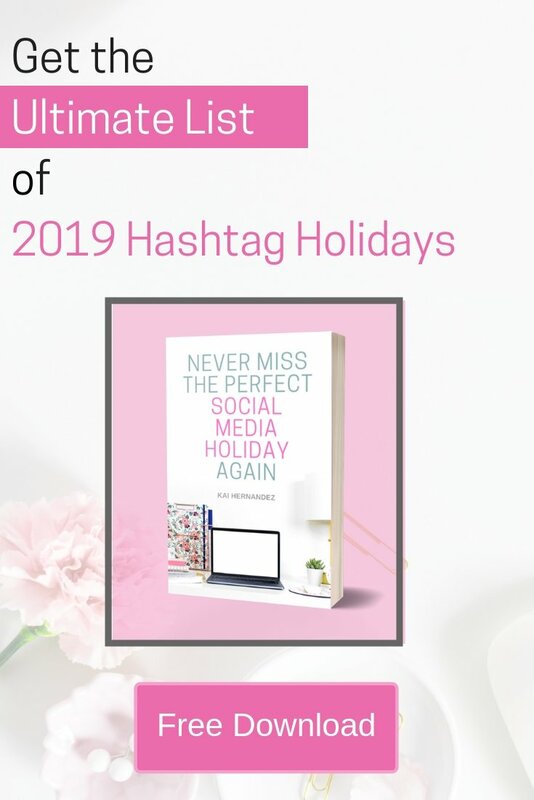 Got notes from your customers, clients, or audience? Print ’em out & post ’em up. Have a favorite quote? You know the deal. Create a beautiful space, that when you sit down, great ideas & focus just flow. The 3-second rule, is my take on the 5 second rule by Mel Robbins. Now, let’s back up a sec. How many times have you thought: “ok, I can work & knock this thing out for my biz right now… orrrrr I could sit down on the couch and binge-watch Friends.” Let me guess, you probably chose to binge-watch friends, right? Well, this is exactly where the 3-second rule comes into play. It’s about taking those thoughts, those exact moments when you decide “this is what I’m gonna do” and guess what, you just count back from 3 – 2 – 1 & you do it! You don’t give yourself time to think. Don’t give yourself time to choose. Just act. You know when your little goes down for a nap, that it’s time to work. So what do you do? The second you put leave them napping, you head straight to your desk & work. If you have a thought about doing something else, 3 – 2 – 1 & you walk to your desk and work. Mel Robbins uses 5-seconds, but with my mom-brain, that’s too long to decide to be lazy, so I go with 3-seconds. Find the best time for you, and go for it. Now it’s time to actually work. And don’t get me wrong, the work is tough. But it does not need to be stressful. Not after everything you’ve done. This is great! I love the 3-seconds rule! Thanks Toni! Yes, the 3-second rule is amazing. It’s simple and yet so powerful! Kai, I love the tips. I am going to try the 3 second rule. I thought I was the only one that is constantly battling the squirrel moments. Hey Toni-Ann, thank you so much! I have those moments all the time, I hope the 3-second rule helps you out as much as it has helped me!